The Draper Dining Table is re-introduction of one of the classic dining tables of the 20th century. 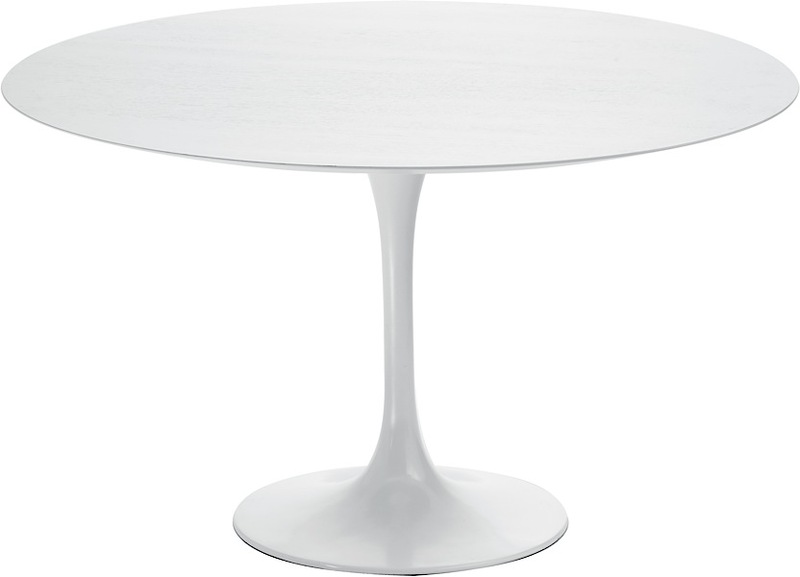 Draper boasts rounded lines and upscale shape inspired by the classic Saarinen tables of the Mid-century. Draper boasts a cast aluminum base with glossy white commercial-grade finish and your choice of either an American Walnut or white Oak veneer top. 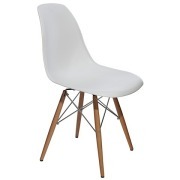 Either will make the perfect statement in your modern dining room! Draper seats up to six comfortably. Looking for something a but larger? 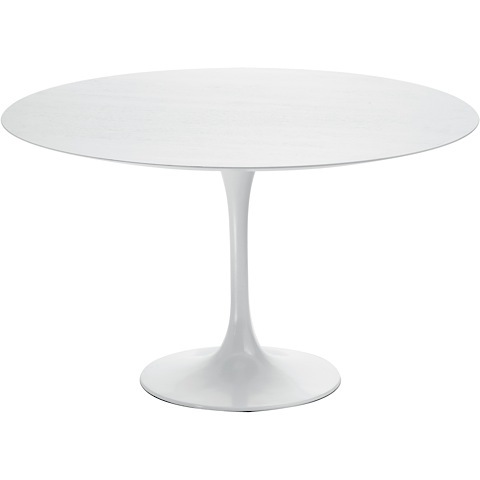 Check out the Saarinen Inspired Oval Dining Table.